Here’s your first chance to step inside Akron’s newest gem and celebrate our community’s most precious jewels – kids. 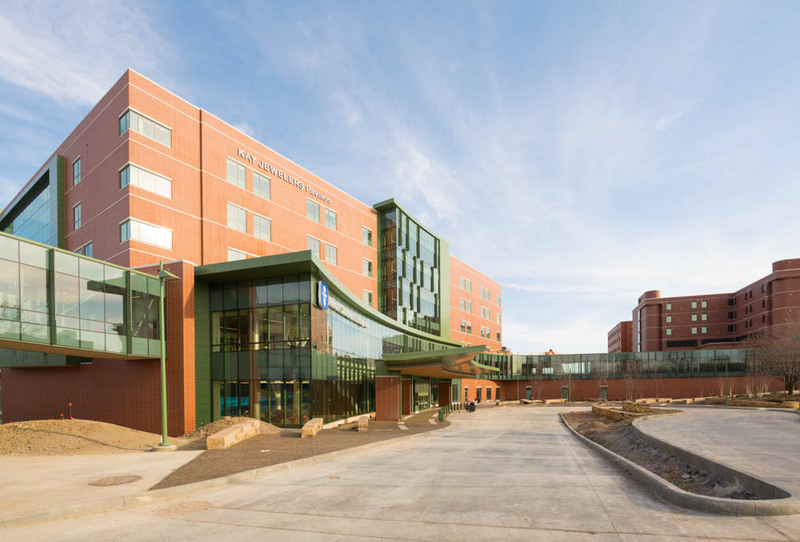 Patient families, friends and the general public are invited to take their first look inside Akron Children’s Hospital’s new $180 million Kay Jewelers Pavilion at a community open house from 1 to 4 p.m. on Sunday, April 26. Attendees will also have an opportunity to draw pictures that will become part of a permanent, public artwork at the hospital. 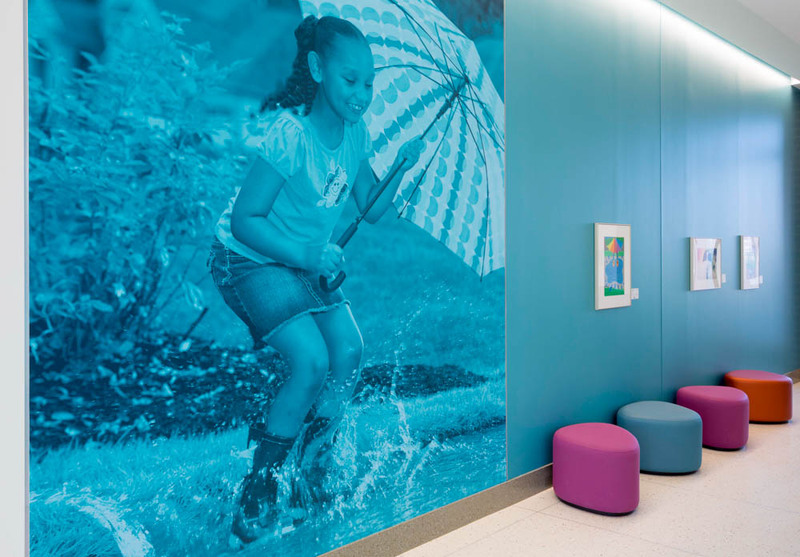 The interior of Kay Jewelers Pavilion features a “backyard” theme echoing the joys of childhood and the idea that Akron Children’s has been a treasure in greater Akron’s own backyard since 1890. 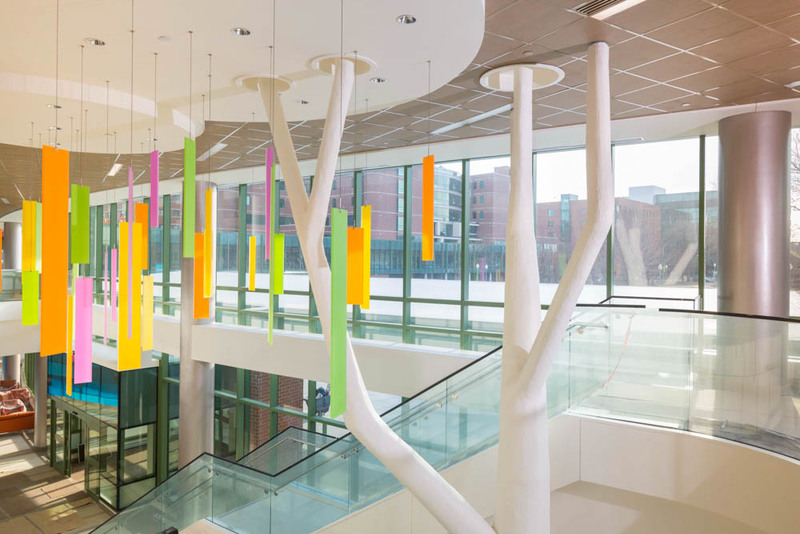 In following the backyard theme, our new NICU is “The Treehouse” – a soothing, healing environment where families can be comfortable while neonatologists and specially trained nurses care for the youngest and most fragile of infants. Our ER, nicknamed “The Puddle,” was especially designed to facilitate a more natural flow of admissions. The GOJO Outpatient Surgery Center, “The Sandbox,” will open with 4 operating rooms equipped for a variety of outpatient procedures, including ENT, ophthalmology, urology, dental and some plastic surgery cases. Our new labor, delivery and recovery center, known as “The Garden,” is designed for cases when a baby is considered at high risk and in need of pediatric specialists the moment they are born.